Dr. Lee’s father contracted polio in Taiwan when he was 2 years old. Disabled in his right lower leg, he walks with a crutch. Seeing how hard it was for him to get somewhere without the appropriate accessibility for disabled persons has helped Lee understand what her patients are striving for. Dr. Lee grew up in a medical family. In addition to her father, who is an environmental toxicologist (Ph.D.), her brother is an urgent care physician. Seeing firsthand how medicine could change the lives of those around her and empower long-lasting relationships between physicians and patients sparked Dr. Lee’s desire to practice medicine. Rheumatology was a natural fit. “Autoimmune diseases like arthritis are chronic. Patients do get better, but the disease never goes away, so you see your patients for years on end and you have a chance to really get to know them. I find that very rewarding,” she explains. 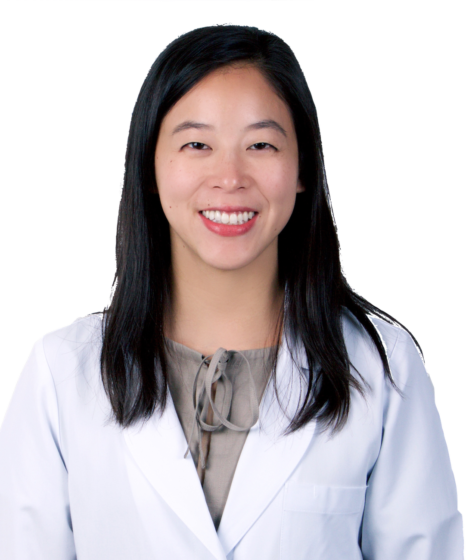 Board-certified in Rheumatology and Internal Medicine, Dr. Lee earned her undergraduate degrees from Washington University in St. Louis, MO, majoring in both anthropology and biology. She received dual M.D. and M.P.H. degrees from the University of Texas School of Medicine and School of Public Health in San Antonio, TX, followed by an internship in Internal Medicine at Washington University’s Barnes-Jewish Hospital. In 2017, she completed a fellowship in Immunology and Rheumatology at Stanford University School of Medicine Hospital and Clinics, as well as training in musculoskeletal ultrasound at the Ultrasound School of North American Rheumatologists. In addition to her practice, Dr. Lee currently serves as co-investigator on 16 clinical trials through the Wallace Rheumatic Studies Center in Beverly Hills, CA. Dr. Lee is a member of the Medical Advisory Board of LUPUS LA and is the medical honoree for the Arthritis Foundation 2019 Walk to Cure Arthritis. She has been a keynote speaker for the Lupus Foundation of America patient education event, “Lupus Learning & Living,” in Culver City, CA; a speaker at Lupus LA’s “Latest on Lupus” patient conference at Ronald Reagan UCLA Medical Center; and a podcast speaker for The Expert Series through the Lupus Foundation of America.